Georgiana (née Macdonald), Lady Burne-Jones (1840-1920), Wife and biographer of Sir Edward Burne-Jones, 1st Bt. Sitter in 9 portraits. 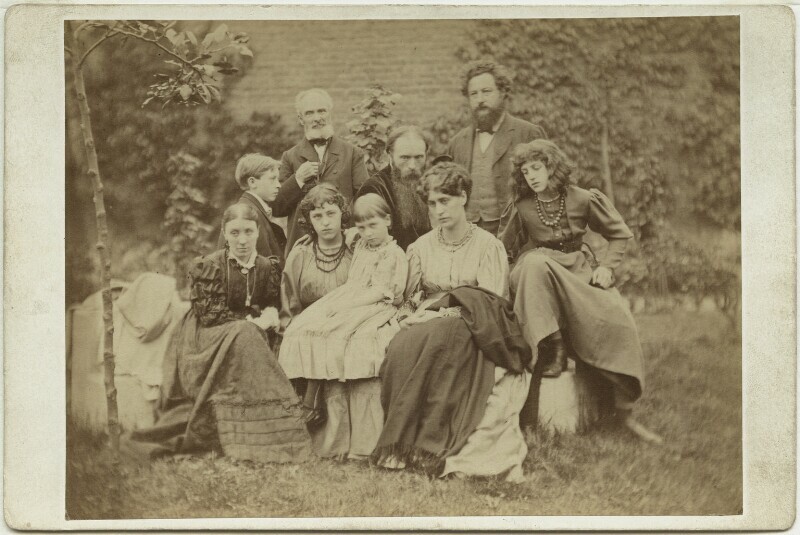 Richard Jones (1802-1889), Father of Edward Burne-Jones. Sitter in 3 portraits. Margaret Mackail (née Burne-Jones) (1866-1953), Wife of John William Mackail; daughter of Edward and Georgiana Burne-Jones. Sitter in 13 portraits. Jane Morris (née Burden) (1839-1914), Embroiderer and artist's model; wife of William Morris. Sitter associated with 31 portraits. Jane Alice ('Jenny') Morris (1861-1935), Daughter of William Morris. Sitter in 21 portraits. Sir Philip Burne-Jones, 2nd Bt (1861-1926), Painter. Sitter in 15 portraits, Artist of 3 portraits.